I’ve never been much of an exerciser but I’m trying shed some of my winter weight for the summer. I hate gyms with a passion. Could you please make me up a workout routine that doesn't involve going to the gym, preferably involving poetry? You'll find some Amelia Bedelia type poetry exercises. And, you'll also be treated to a poem by Lucille Clifton titled "homage to my hips." If you have more time to kill, there's lots of poetry advice in past "Ask a Poet" columns. 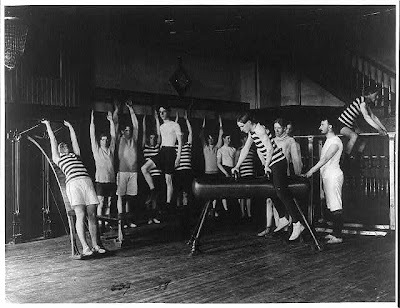 Speaking of exercise, visit The Poetry Resource Page for more traditional poetry exercises for toning up your creative muscles. Here's one more--use the photo above, taken around 1899, as a prompt. Tabatha Yeatts: The Opposite of Indifference is hosting the Round-Up today. Stop by! 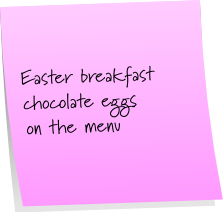 Check out another Easter morning haiga at KK's Kwotes. Have a sugar-filled day! Poetry Friday--"Loveliest of Trees, the Cherry Now"
This poem is appropriate today since Sunday is Easter and plant life here in New Hampshire is finally starting to come alive! Take a tip from Housman and about the woodlands go. Bring a pencil and a piece of paper. Or a camera. Create a little springtime beauty of your own. It's a remarkable time of year and one can't help but be inspired! 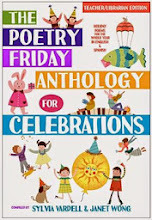 Kate Coombs, the Book Aunt, is hosting the Poetry Friday Round-Up today. Quick like a bunny, hop on over and you're sure to find a basket of poetry treats! 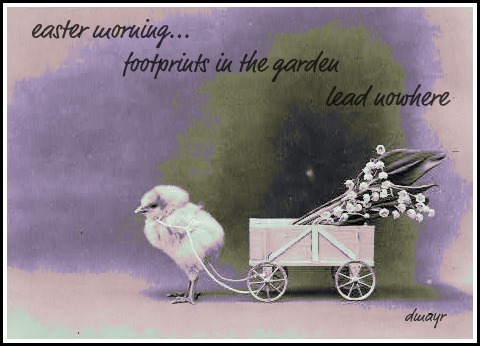 Come back again on Sunday for Happy Haiga Day!--Easter Edition. © Diane Mayr, all rights reserved. Drawing by Hokusai courtesy Library of Congress. Poetry Friday--Welcome to the Round-Up! a lower form of primate. Now let's get started with the Round-Up! Kurious Kitty (a.k.a. me) is celebrating National Library Week with a library poem by William Stafford. KK's Kwotes has a library quote from Charles Simic. My writing buddy, Sally, at The Write Sisters, is sharing a seasonal poem by New Hampshire's own Celia Thaxter. 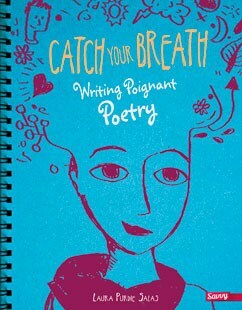 At Write Time, Linda reviews Paul B. Janeczko's newest book for teachers, Reading Poetry in the Middle Grades. She says, "Paul teaches us how to engage our students and make personal connections. He also offers a broad selection of writing activities from a journal entry to imitating the poet by rewriting several lines of the poem to help readers internalize and make the poem their own." April is busy today at Teaching Authors where she has a discussion of posting one's own work online. I like April's attitude, "to come to the world with open hands." 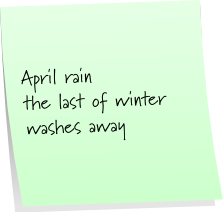 We can see April put her thoughts into practice at her 2011 Poetry Month blog where we find "Hiking California," and we learn the story behind it. Who knew hiking could be so musical? There's more dessert today at Jama Rattigan's 2011 Poetry Potluck! There we get to meet Toby Speed, her cat, Kashi, and learn about lighthouses, and kitefishing, through poetry. Toby shares a recipe for "mystery cake." The list of ingredients already has me drooling! Tanita shares her experiences with sixth graders and their collage poetry responses to her book, Mare's War. We have nothing to fear about the future of poetry! Great job sixth graders! Poem #15 in Mary Lee's Poetry Month challenge is "I'm Your Mom." Mary Lee uses "mom" as a verb and gets away with it! Fun! Heidi tells us she's more than ready for her upcoming vacation to Costa Rica, and, she shares Theodore Roethke's delightful poem, "The Sloth." 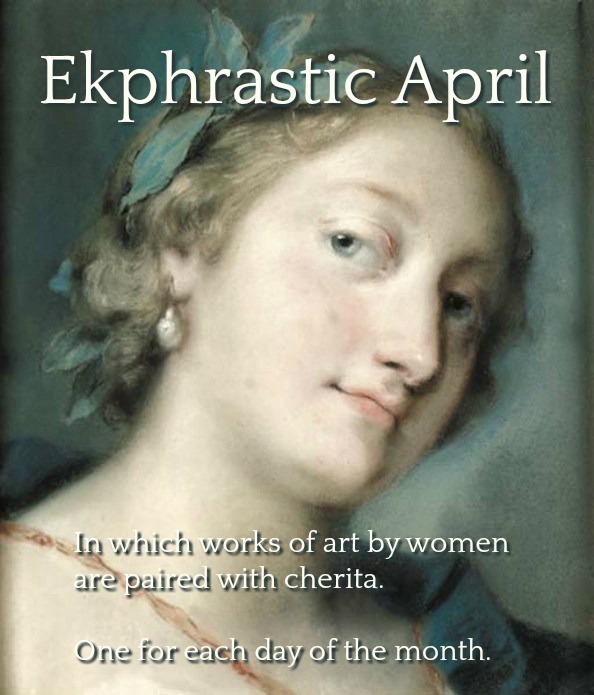 And speaking of Heidi Mordhurst, at Author Amok Laura is featuring Heidi as one of the Maryland poets she is celebrating this month! She also has a poem by writer and publisher, Mike Clark. Another Laura, Laura Salas, sends us to GottaBook where her poem "How to Talk to a Girl," is being featured by Gregory K. This poem is a "found" poem. We all should be so lucky as to "find" a poem this good! Madigan reviews a book that's right up my alley--Won Ton: A Cat Tale Told in Haiku by Lee Wardlaw. I'll have to check it out! At Hope is the Word we find a review of Cousins of Clouds: Elephant Poems by Tracie Vaughn Zimmer. The cover illustration is included in the review--the winged elephants on the cover, have me eager to get my hands on it! And the title--"Cousins of Clouds"--how very intriguing! David, the dad of teen girls (you have my sympathy, LOL), has been tweeting haiku this month. He has his own mini-round-up of twit-ku here. You can follow him @delzey on Twitter. 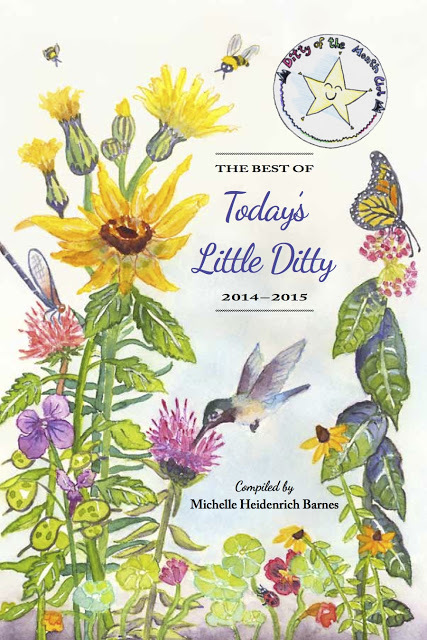 Carol has been "planting the seeds of poetry" with first and second-graders. Ah, early elementary, still a cute and curious age... Head over to Carol's Corner and you'll find an imaginary dragon for sale for only $5.60! Tricia, at The Miss Rumphius Effect, shares an Amy Lowell poem with these lovely lines, But the dazzle of moonlight/In the ink/Blinded me,/And I could only write/What I remembered. 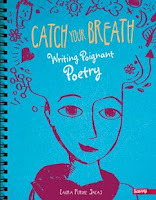 Tricia has been doing a bang up job in April gathering books of poetry for teachers and others who are interested in adding a little children's poetry to their lives. LitLass shares poems by her 8-year-old, Tintin, at LitLad. It's nice to see that yesterday's "Poem in Your Pocket Day" saw poems in lunch bags, too! At The Stenhouse Blog you'll find a thought-provoking poem, "In Every Life," by Alicia Ostriker. How about these lines: at times we are filled with sky/or with birds--aren't they great on a sunny April day? Doraine reminds us of the power of poetry to transport readers back to the people and places they've loved, and, lost. The poem that did it for her this week was "Let Me Have That Red Dirt Road" by Kay M. Sanders, which she shares. Ruth shares this concept, "happiness can be written about," through a poem by Edward Hirsch. She adds an original poem, "Mangoes," and makes me wish for a bowl of orange chunks of my own! At Brimful Curiosities, we're challenged to read Ogden Nash's The Tale of Custard the Dragon with our kids, and to have them do their own illustrations. Sample illustrations are included! Jeannine reviews a new novel-in-verse by Kim Marcus, Exposed. I've known Kim for many years and I'm happy to read Jeannine's positive review! At Check It Out we find an admirable poem about writing a poem, and, it's by a fifth-grader by the name of Myranda! And, at love2teach2day there is math poetry! Back in the stone ages when I went to school, there was no such thing. I'm so glad times have changed. Karen has a poet new to me, Jonathan Potter, and shares links to a variety of things--nyuk, nyuk, nyuk! Toby has photos of some very out-of-the-ordinary kites. I guess I'm out of the loop in the world of kites! These are giant and formed and fun! The photos are paired with "Kite" by Valerie Worth. For those who are fans of J. Patrick Lewis' children's poetry, Elaine at Wild Rose Reader, brings us news of a collection of his poetry for adults, Gulls Hold Up the Sky. 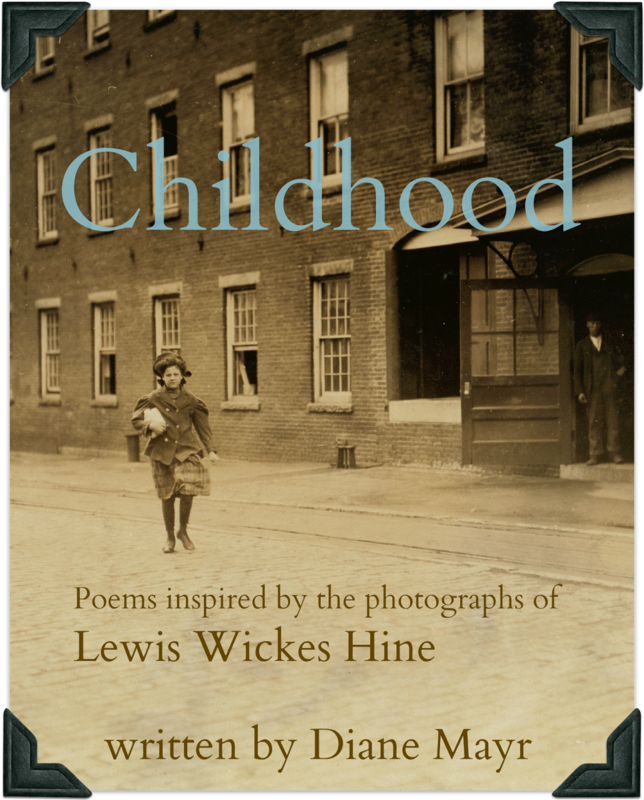 She also includes a Q & A with Lewis so that we can learn a little more about this accomplished poet. There is also an short video where we get to see a bunch of J. Patrick Lewis titles. I'm impressed! NOTE: I'm was also impressed by the suggestion, by YouTube, of another video to view: Patrick Lewis Bodybuilder. It might be a good idea for bloggers to make sure the box that says "Include related videos" isn't checked. You never know what's going to show up! If you have a blog that also appeals to kids, you may not want to have them see film of a bodybuilding contest. Kids might mistake Patrick Lewis the bodybuilder for J. Patrick Lewis the poet. Oooo, now there's a subject for a poem! Anastasia is busy today! There is a EduHaiku about the Civil War; at Chapter Book of the Day she introduces Another Jar of Tiny Stars, which is an updated version of A Jar of Tiny Stars; and, at Picture Book of the Day she features Six Sheep Sip Thick Shakes: And Other Tricky Tongue Twisters by Brian P. Cleary (the cover illustration by Steve Mack is so cute). Gregory K. checks in with at GottaBook with "A Bat Cave: An Abecedarian Bedtime Chronicle" by Carole Boston Weatherford. He also features Heidi Mordhurst (click here) with "The Playroom Floor Writes a Novel," which is a poem in five chapters! Let's congratulate Gregory on his 30 Poets 30 Days April 2011 series! 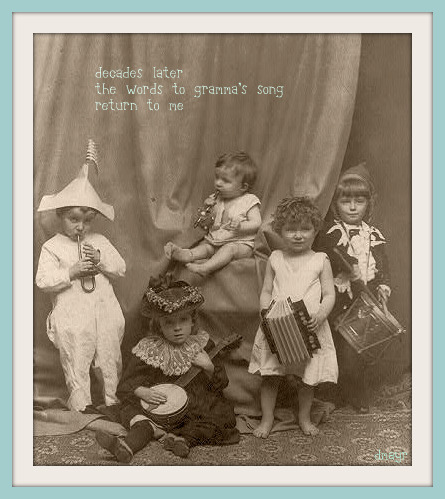 At Blue Rose Girls, Elaine has an original memoir poem titled "Crocheting." I love this part: From a single strand/she creates a lacy island/where we will float/on a sea of soft green grass. Elaine can also be found with a song parody, "Guess Where Our Money Goes" at Political Verses. Another verse novel being reviewed today is Verses by Holly Thompson, reviewed by Jennie at Biblio File. Straight from a poetry inspiring nature walk session with fourth-graders, Robin Hood Black has brought us "Spring"! Well, poetry lovers, I hate to admit this, but it is 2:08 PM and I have yet to change out of "lounging attire." I'm off to do that now and head out on a few errands. I'll be back soon! At The Poem Farm, Amy has food poems and a report from fourth-grade teacher, Melinda Harvey, who has been immersing her students in poetry. On a daily basis she shares poems with her students after which they have "a spirited conversation about anything from the topic of the poem to the poet's word choice." Melinda included some student poems in her report! Carol Rasco from RIF reviews All the Water in the World by George Ella Lyon, illustrated by Katherine Tillotson. 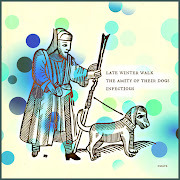 Joyce at Musings includes a haibun (prose and haiku) and links Thoreau and Japanese haiku master Basho. Very nice. Judy at Learning To Let Go has a poem on a more serious note, "Belongings" by Michael Longley. At Books, Dogs and Frogs, Sarah had some poetry fun with second-graders and shares a library acrostic they wrote together. Andromeda has written a haibun about her son, Puck. In it, she asks, "Do you wonder why I call him Puck?" There's no doubt in my mind after seeing the sly smile on the boy in the photo. Oh, so, cute and puckish! 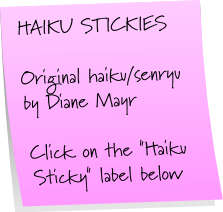 Marjorie takes us along on a haiku journey she and her son took together. "Little Brother" definitely has a poetic sensibility! That's it for tonight, it's nearly 11:30 here and I'm exhausted! Thanks everyone for participating. Good morning! I woke to a few more links. Better late than never! dt. haase has a poignant haibun to share here. 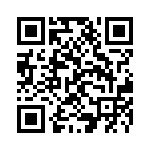 Take a look at some of the "lines" on the rest of the site. Nice. Library Chicken reviews Scarum Fair by Jessica Swaim, illustrated by Carol Ashley. 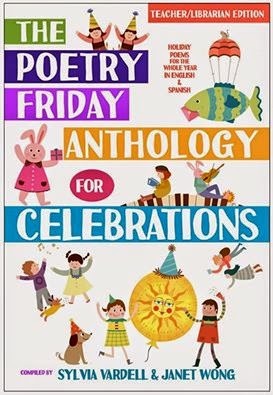 Tomorrow, the Poetry Friday Round-Up is being held here, use "comments" below to post your link ahead of time. If you have to rush off to work in the morning this will give you a little extra time. In Japan, Buddha's birthday is celebrated today, April 8. 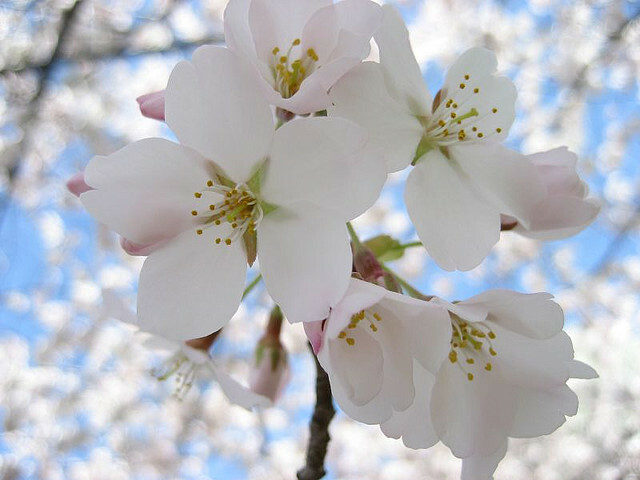 On this day the Japanese have a festival called Hana-matsuri (Flower Festival). 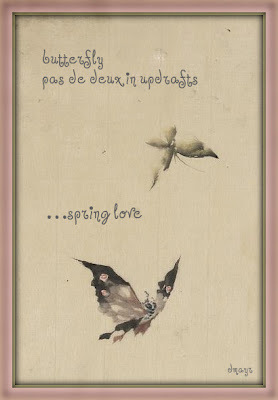 There is a story behind it--when Buddha was born the earth was so pleased that flowers bloomed everywhere. 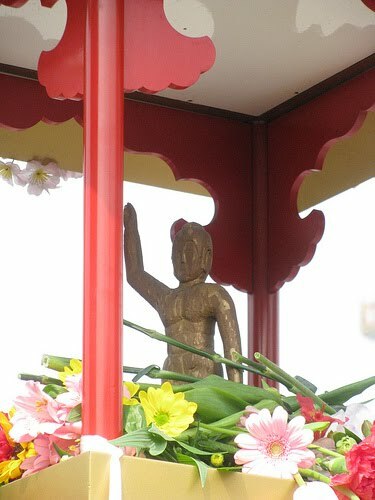 So, on Hana-matsuri, fresh flowers are used to decorate shrines and statues of Buddha. pushing up from oblivion now. This week's Poetry Friday Round-Up is being held at Madigan Reads, and, next week it will be held right here! See you back here in a week! © Diane Mayr, all rights reserved. Image courtesy Library of Congress. Originally published in Haigaonline volume 11 issue 1, June 2010. Yesterday, I used vacation time and left work early to attend a rally at the State House in Concord, New Hampshire, to protest the NH House's budget. The budget proposes cutting an incredible number of social services. The number of people whose physical and mental well-being will be effected is appalling! And, like the debacle in Wisconsin, NH is looking to eliminate collective bargaining for the state's union employees. As a public librarian, I will see interlibrary loan services cut drastically, which will, unsurprisingly, hurt the smaller libraries in the state, writers who need research materials, and our children. For many years I was on the state's summer reading program committee, and I know how important the ILL van is for distributing summer reading program materials. Kids who keep reading over the summer, maintain their skills come September. That's a no-brainer. I've attended anti-war and other rallies at the State House where 600 people was considered a good crowd. Yesterday there were about 5,000 in attendance! 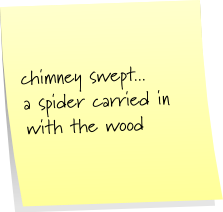 I was inspired to write a haibun. 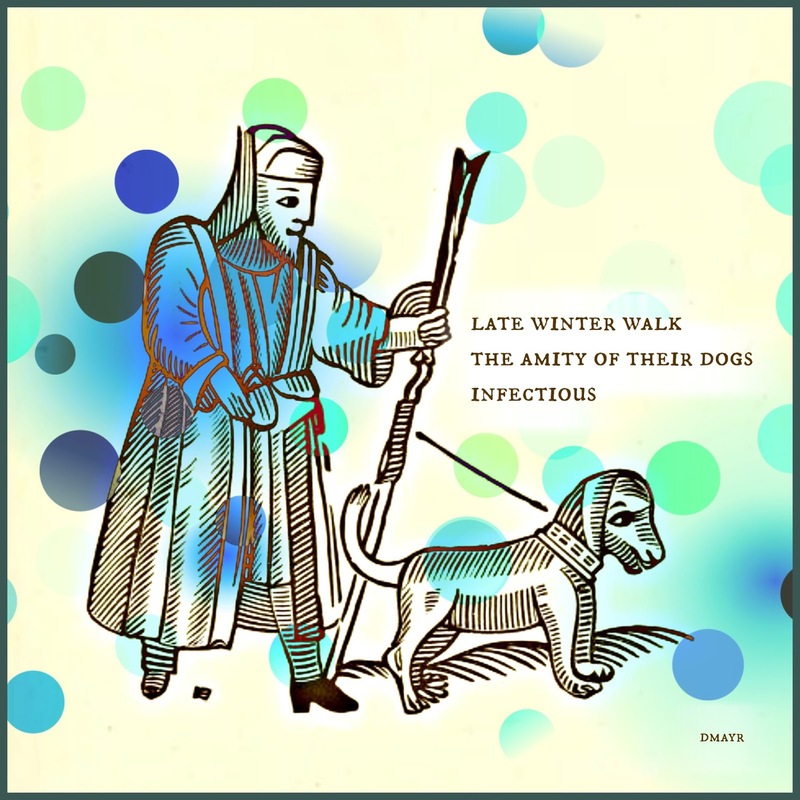 You may be unfamiliar with the term haibun. The word is Japanese and means "poetry prose." 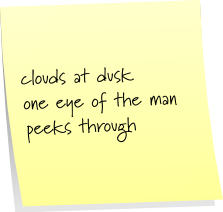 Simply put, a haibun consists of descriptive prose accompanied by one or more haiku. A more detailed explanation can be found at Contemporary Haibun Online. I know it will be a big event when I pass several buses heading in the same direction. I park my car and walk to the State House. Old people, young people, handicapped people, counselors, artists, firefighters, state troopers, writers, psychologists, librarians, and people just fed up with what is going on in our state, gather. Despite the sounds of the helicopter and an airplane circling the downtown area, I'm close enough to hear the speakers. A boy, only 16, tells us he is a recovering addict. A bishop, reminds us, "God helps those who help themselves is NOT in the Bible." And the hand-lettered signs--oh, those signs--speak loudest of all. 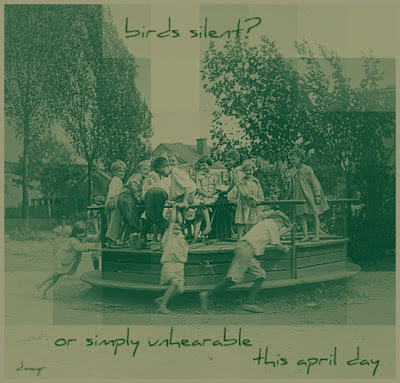 Head on over to The Poem Farm for the Poetry Friday Round-Up. Please also head over to Kidlit4Japan. Two signed copies of Littlebat's Halloween Story will go up for auction this afternoon! Many thanks!